We left the BTS station at exit 3 and walked down Soi Salapi. 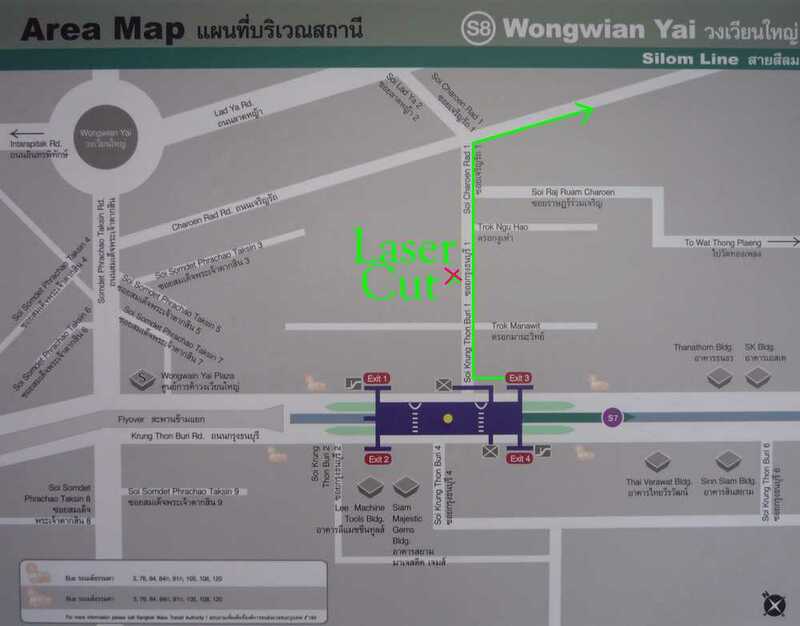 The shop that cuts plastic with lasers is along this soi. Then we turned right on Jaroen Rat and there are more shops with shoe and purse supplies there.